Undersized Indian Children: Nutrients-starved or Hungry for Development? Undersized children (<5 years) have body dimensions <-2SD of WHO Multicentre Growth Reference, constructed from affluent subjects with no health or environmental constraints. Lower anthropometric measurements portray only undersize irrespective of cause, but such children are labelled as undernourished: underweight (low weight; weight-for-age <-2SD), stunted (short child; height-for-age <-2SD), and/or wasted (thin child; weight-for-height <-2SD). Undersize in children is actually a crude proxy for overall socio-economic underdevelopment and intergenerational constraint of maternal undersize, but it has paradoxically come to be perceived as a proxy for nutritional inadequacy in both mainstream and underprivileged populations. Evidence indicates that only some nutrients or food-based interventions, including those during pregnancy, increase anthropometric indices, and those too do so only modestly (0.1-0.25 SD or 5%-10% deficit) with unsustainable benefits. Other determinants include water, sanitation and hygiene; nutrition counselling; maternal characteristics; curative and preventive health care; maternal, household and community resources; literacy; income; women empowerment; safety nets; and genes. In tandem with the overall national development, time trends show a gradual decline in the incidence of undersize in children; this trend has hastened in the past decade, even amongst the underprivileged. The steady decline in the prevalence of stunting and underweight, with wasting levels remaining stagnant, is observed in neighbouring countries too and appears unrelated to specific determinants. Biological and population transition evidence suggests that rapid and simultaneous declines in both stunting and wasting are challenging to achieve. Patience is required to overcome the legacy of considerable intergenerational handicap. A narrow focus on nutrients-based solutions will fail to accelerate progress. Comprehensive and equitable development is the key to success. With substantial earlier investments in dietary subsidies, action is now warranted in other sectors to rapidly benefit the marginalised. Bredenkamp C, Buisman L R and Ellen Van de Poel (2014). 8. Art. No. : CD009382. DOI: 10.1002/14651858. 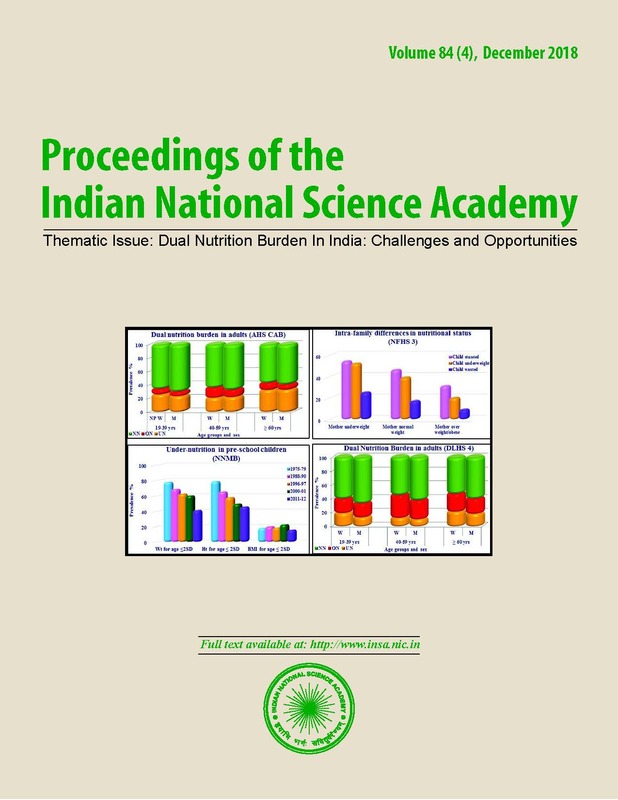 (NFHS-3), 2005–06: India: Volume I. Mumbai: IIPS. Family Health Survey (NFHS-4), 2013–14. Factsheet.